Webcore developed and app for Sesc destined to the inauguration of their new building at the Paulista Avenue (city of São Paulo – SP). 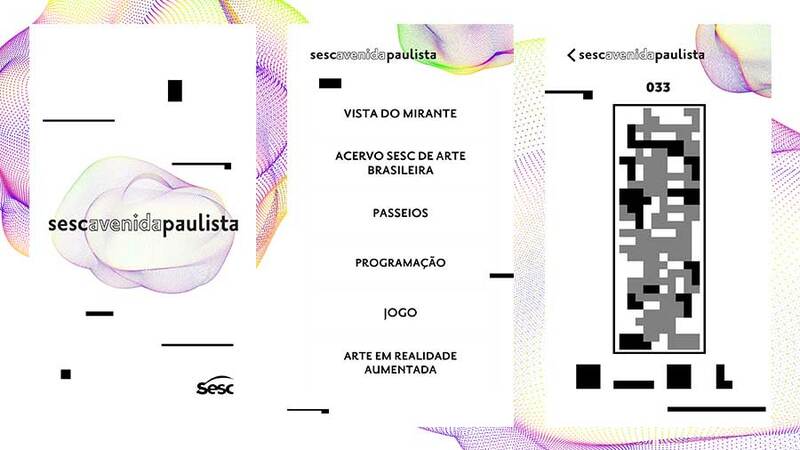 Containing activities dedicated to the body, art and technology, Sesc Avenida Paulista is within your reach through this app! 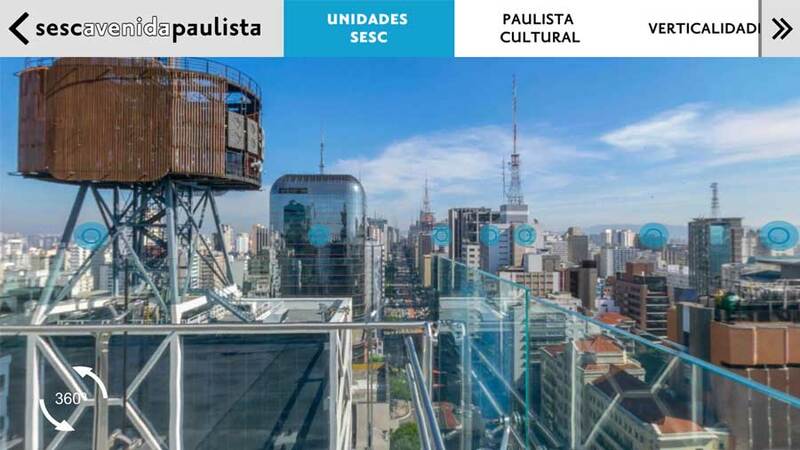 On the app, you can experience 360º immersions through the view that is offered on the building’s observation deck, explore georeferenced tours about subjects as diverse as the cultural centers and the species of local trees, listen to an audiotour about the Paulista Avenue – its history and curiosities –, play a composition game inspired on the building’s façade and more. Not only can you let your eyes and mind wander around from the rooftop view, you can also get to know significant places on the horizon of the Paulista Avenue. 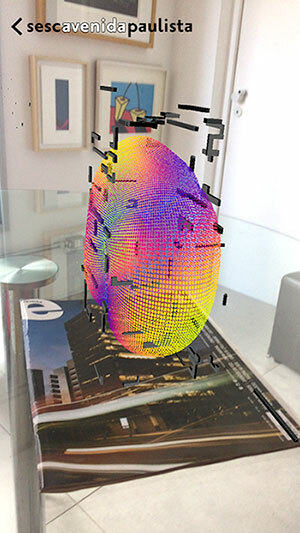 There are 60 places at the Avenue that can be explored on the 360º immersions. Now it’s time to hit the road! You can choose among three options: be guided by an audiotour that takes you from Sesc to MASP (Museum of Art of São Paulo); follow the essential cultural spots of the Paulista Avenue, or discover the regional trees that silently observe the city groove, by selecting the option “Veredas Urbanas”. This is the conducting wire to a path of artworks in exhibition and artists’ histories taught through audio and images. Here’s where you find out everything there is to be done in Sesc Avenida Paulista. Let your friends know, call your neighbors and come to #SescAvenidaPaulista. Time to relax! You are challenged to fill the building’s façade in 120 seconds, listening to Hermeto Pascoal. It’s a fun way to spend your time while in the line or waiting for the elevator. You have to be really fast in order to fit a lot of pieces and score high. The animation was created by Kiko Farkas and Julien Sappa and it was made especially for the opening of the new building at Paulista Avenue. In order to see the magic happen, all you have to do is access sescavenidapaulista.org.br/capa from a computer and appreciate the AR animation.